As in many successful business enterprises, desired outcomes are guided and left less to chance through a planning process and management framework that articulates actions to be taken and monitors results that are achieved. Planning for sustainability in the wine business is no different. Sustainability has become firmly entrenched in the business world and is quickly emerging in the wine industry as a win-win model. Vineyard and winery process inputs and materials representing cost factors are reduced, reused, and recycled, so that few if any resources are wasted and environmental footprints are minimized. The following offers a practical step-by-step overview on planning for how sustainability can be achieved in a vineyard and winery enterprise, and subsequently advanced for profitable and greener business operations. By its very nature, a vineyard and winery enterprise extends over a plot of land and requires varying inputs of water, energy, nutrients, and other process materials. These are key elements that are addressed in sustainability planning and in adopting environmental initiatives and raising awareness in the industry. Cost savings, environmental benefits, market competition, consumer demand, and brand distinction are the drivers. The transition for a small- or even medium-sized winery business can initially seem daunting and difficult to justify in light of other business priorities, but it can result in significant economic, environmental, and social benefits. So what are the steps in developing an integrated growing and production system to reap the fruits of sustainability and how do we get there? Developing a better understanding of the business benefits that drive sustainability, and a corresponding commitment are the first steps toward a sustainable wine enterprise. Understanding, buy-in, and commitment of owners and senior management are prerequisites to proceeding and succeeding with a sustainability program at any level, from starting out to well advanced. Another starting point for building sustainability into operations and planning for the future is to complete a baseline assessment to establish quantifiable metrics relating to environmental, economic, and social aspects of the business. The assessment can be undertaken as a rapid scan of operations at a high level to identify key gaps and areas to address, or a more complete evaluation of operations to reveal specific opportunities to integrate sustainability practices. From this baseline, it is then possible to begin planning for sustainability into the future, with goals and initiatives to achieve the above commitment. A policy spells out commitment toward sustainability elements and opportunities and begins to steer action toward progress. The next important step in building a sustainability program is to develop a strategic plan that clearly outlines goals to be pursued and related practices to be integrated into operations within an overall management framework. Initiatives aimed at reduction of water consumption and corresponding costs by a specified percentage over a given period, and greenhouse gas emission reductions, are examples. The plan ties together and justifies initiatives that might otherwise be undertaken on an ad-hoc basis, without realizing the full benefits possible. The old adage says, ‘you can’t manage what you don’t measure’. As operational initiatives identified through the planning process are undertaken, it is important to establish metrics and monitor operations to track performance improvements over time. For example, how is energy consumption of the enterprise broken down and how has it changed? What are the cost savings? What are the corresponding aggregate carbon footprints? How does the progress relate to sustainability targets established in the strategic plan? While many businesses are gaining an appreciation of how their operations benefit from sustainability, a tipping point is emerging as investors and customers come to see the greater value possible through the economic, social, and environmental lens of sustainability reporting. It enables an opportunity for businesses to share information on the progress of their programs and demonstrates their commitment to sustainability, which more and more consumers are beginning to look for. To get started in reporting, there are different widely accepted sustainability reporting standards, e.g. GRI and CDP that can be considered. In addition to the above steps, there are a couple of wine sustainability programs in Canada that provide frameworks to start out and/or advance sustainability. These include the B.C. Wine Grape Council Sustainable Winegrowing Program, and the Wine Council of Ontario Sustainable Winemaking Ontario: An Environmental Charter for the Wine Industry and its Sustainability Certification Program. 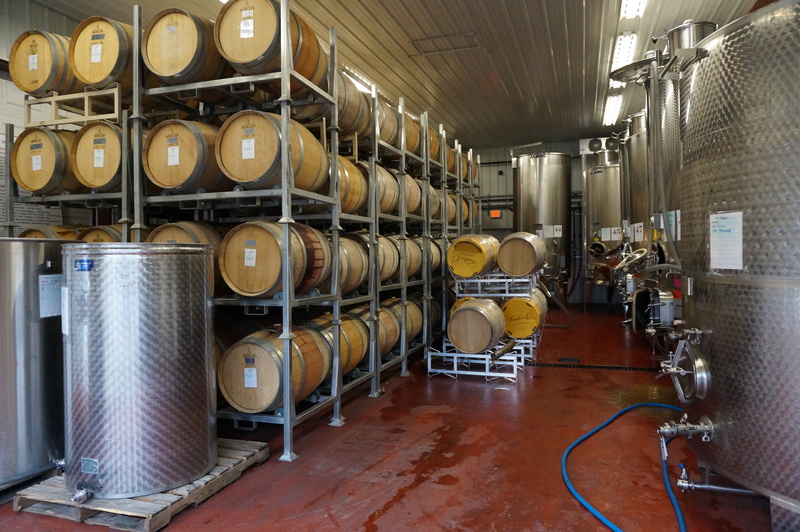 While these programs provide templates for building sustainability into a winery business, external expertise is also often sought to augment internal capacity, and to facilitate and expedite the process.